Oh, wait a minute, that last part, the part where my deeply concerned parents warned me about appropriate behavior around the police, THAT NEVER HAPPENEND because I was a white kid from the suburbs. As the parents of a white male growing up in the wealthy suburbs north of New York City my folks never felt compelled to teach me how to behave around the police. They assumed I would be safe, and they even evinced an antipathy towards local law enforcement that might have gotten them locked up or killed were they black and poor. I am an attorney’s son, and throughout my youth, during which I behaved both responsibly and irresponsibly, I always knew that if I ever ran afoul of the law, my dad had my back. I also knew (or perhaps felt, or… subconsciously understood) that I was safe, that no one would ever see me as a threat. My lack of body building, my disinterest in black concert t-shirts and long hair (this was the late 70s and early 80s, after all), my distaste for weapons and physical violence, my non-threatening ride (a Volvo 240, which we all know to be the universal symbol of suburban whiteness), and, oh yes, the color of my skin, all projected a persona that assured any nervous officers on a traffic stop that I was harmless and simultaneously communicated to them that any effort to demean or harm me would be met by career-threatening litigation. 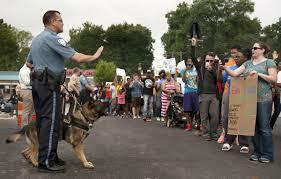 And so I never worried about my engagement with the police….ever—a sense of safety that I am sure was noticeably absent in the psyches of Mike Brown, Trayvon Martin, and other black men (both young and old). I’m sure my readers assume that since I am a white, middle class guy, my experiences with police have been uneventful. And yet, those of you who have known me a long time know that I have been in jail…TWICE… for a grand total of some 2 ½ hours (maybe a little less, actually). To be clear, I have never been arrested, never been charged with a crime—save for driving in rural Georgia with an expired license plate—and never actually served time. Nevertheless, on two occasions police have put me in a holding cell. Down in Georgia, which was my second time in the slammer, so to speak, the whole thing was very civilized. An African-American cop stopped me for driving with expired tags. He asked to see my ID, and when he noticed that I lived in Fulton County (which apparently meant I was a flight risk), he politely asked me to follow him to the station. Once there, he asked for my belt and shoe laces, at which point I knew I was headed for a cell while I posted bond for my court appearance for the expired tag. In essence, they wanted me to pay my fine prior to any trial and before they would let me leave Fayette County. A petty and greedy move on the part of the police department? Yes, but throughout the experience the officer in question was extremely kind, respectful, and decent. Nobody hit me or searched me. Everyone referred to me as sir, and they even came into my cell and lit my cigarettes (apparently matches were not allowed—for fear of riots and escape—but cigarettes were ok….go figure!). To be sure, I was a cooperative participant. When I realized I was going into a cell I whined a little bit, but I knew I would get out quickly. As an acting intern in Atlanta, I personally had no money but I knew lots of people who did. I got out of the lockup in time for my meeting with a local author (who actually bailed me out) and was home by 8 or 9 that evening. But this was not my first time in a cell, and it was that earlier, brief detention that really illustrates just how privileged I was and continue to be. My previous lockup was around 1985 in New York City. My parents and I were stuck in traffic at the Lincoln Tunnel on our way to Passover Dinner at my grandparents’ house in New Jersey. Our car, the aforementioned Volvo 240, stalled out and we could not get it to start despite the traffic cop’s continued insistence that we move. After a minute or two, the visibly ticked off police officer walked over to us and demanded that we pull over to the side of the road. Naturally, at that moment, the car started and we moved over to an area just outside the tunnel entrance. A now enraged officer demanded to see my license and registration while my father, who was equally enraged, yelled at me to not show the officer anything. He had no grounds to charge us with bupkes! The damn car wouldn’t start. After about five minutes of arguing, the cop demanded I exit the car, and then, suddenly, two officers grabbed me by the arms, swept me up, opened the door to a small office and put me in a holding cell. They (the cops) were scared out of their minds. My dad (an attorney) was standing in front of the door threatening to sue them, to have their badges. My mom screamed that the cops were beating me. Hundreds of drivers entering the tunnel could see the whole thing. The police had no idea what to do. Behind closed doors they threatened to arrest me if I couldn’t get my parents to calm down, and so that’s just what I did. The cops opened the door to the office. I talked my parents down, pulled up my shirt to show that I hadn’t been beaten, and, just like that, we were back in the car on our way to New Jersey, me yelling at my folks for getting me thrown into a cell and my dad laughing about the whole thing and telling me to “relaaaaaax” (if you knew Gary, you understand what I’m saying). Weeks later my parents met with Transit Police officials to vent their spleen and the whole affair was over. My point in recalling these tales (which have, over the years, become funny stories about my “wild side”) is not to decry my treatment by the police, which in New York City was slightly rough but pretty uneventful, really, and ultimately empty and impotent. Rather it is to make clear just how much deference rich white people receive even in the midst of a very tense situation. On two separate occasions the police have seen fit to put me in a cell, albeit briefly. Once, the officer allowed me to drive myself to the station! And in the other instance my family and I challenged the police in an angry and aggressive way, and yet we weren’t beaten, or tazed, or arrested, and we certainly weren’t shot! Not once did I believe that I would be thrown into a system designed to imprison me. Not once did I feel hopeless or particularly scared (well maybe a little scared, but not terribly frightened). Not once did I fear for my life. Indeed, I would argue that at some point on that bizarre day outside the Lincoln Tunnel, my family was itching for a fight. We couldn’t wait to have our day in court with the Transit police. After all, with my dad’s training, connections, and privilege we were sure those cops would be sorry they ever met the Greenbergs. Actually I am sure there are countless waiters, auto mechanics, and others who wish they hadn’t met the Greenbergs either…but that’s beside the point. The real point is that in Georgia and New York, with black cops and white cops, in the country and in the city, while cooperating and while disobeying, I was treated with respect, decency, and more than a little deference. I had white and middle class privilege to spare. I knew it. My parents knew it. You know it. Everyone knows it. Wealthy (or even not so wealthy) white people are treated differently in all kinds of circumstances. We can hail a cab without incident, ask for directions without people locking their car doors walk through a department store without being followed, and, most notably, we are allowed a much wider range of behaviors around law enforcement. I think I would just close by noting that the kind of racism we are talking about here is not just a “police problem.” I know a few police officers, and I have found them all to be thoughtful, kind, decent, and committed people. And as I noted above, even those police that I did not know personally, people I have met under less than ideal circumstances, have all been either good guys or pretty restrained…at least in the way they approached and handled me. And if they can be that deferential to me, they can certainly show greater courtesy to others regardless of their race. No, the real issue in Ferguson, and by connection the entire country, is much bigger than one policeman or police force. The horrible events of Ferguson, of the Trayvon Martin slaying, or of countless other acts of violence and death directed against people (especially men) of color in this country are driven by a belief system that establishes in no uncertain terms that I am worthy of better treatment than others who either look different from me or who have less money than I do. I suspect that that belief system is so deeply embedded in our society, that it will take many decades to alter it and the misperceptions it engenders. But we won’t make any progress at all until folks like me, and, I suspect, many of my readers, thoughtfully consider their treatment in American society and own up to the advantages of whiteness and of middle class status. We don’t need to surrender our privilege, which, let’s face it, is pretty nice. Rather, we need to extend it to everyone. We need to demand (and perhaps of greater importance, expect) that police officers, office clerks, and the many other individuals whose jobs require them to regularly encounter the public give all people the benefit of the doubt and extend common courtesy to everyone. They should address all new acquaintances as sir and ma’am. Skin color should not determine one’s ability to get a cab, increase (or decrease) their chances of being stopped by the police, or determine whether or not a store detective suspects one of shoplifting. Without those simple, universal expectations people like me will continue to live a life largely devoid of fear of arrest and/or detention, while other Americans, through no fault of their own, will constantly brace themselves for the onslaught of disrespect and mistreatment that accompanies our racial and class hierarchy. I know what some of you are thinking. That’s your answer, Erik? Extend white privilege to everyone? How the hell are we supposed to do that? I don’t know. If I had good answers to life’s persistent problems I would have called this blog something other than Limbo. I don’t have answers, though, just beliefs. I hope that many of you believe as I do, and I pray that someone out there has answers to what seems like an intractable, and is certainly a heartbreaking problem in American society.